Add the great looks and increased visibility of the Touring LED headlamps to your LX,EX, EXL or Sport 4 door sedan Accord, Everything is included to make the modification including detailed instructions to get the headlamps to work. These are for upgrading your 2016 model year car. 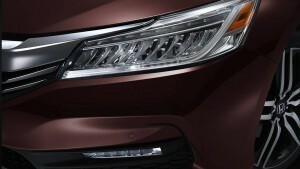 They will not fit the 2013-2015 Accords without extensive modifcations to the front end of the vehicle. Instructions for the front end modification are not included. The headlamps are in limited supply and the harnesses are made when ordered. Please allow an additional 3-6 days for processing your order. What Model Accord do you have?